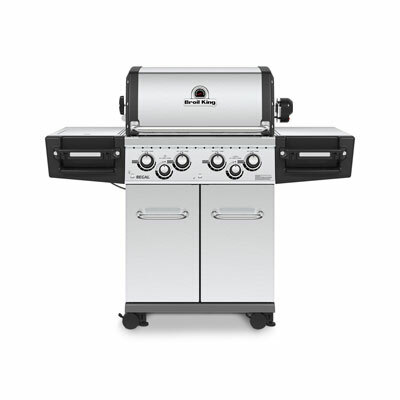 The RSE525RSIBPSS Rogue 525 Freestanding Propane Gas Grill with Infrared Side Burner and Rear Infrared Rotisserie Burner from Napoleon provides a quality grilling option for those who need the high performance features of a robust, premium grill at an affordable price. The 4 main burners provide substantial heat (57,000 BTU capability) for the 525 square inches of main cooking area that's made up of the premium stainless steel "S" Wave cooking grids that Napoleon is known for, resulting in professional sear marks, while the dual level stainless steel sear plates rid the grill of any grease that falls from your food to avoid flare-ups. 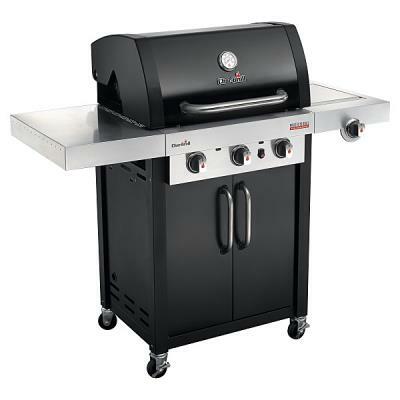 This grill also comes with the cast iron grated infrared Sizzle Zone side burner. The unique JetFire ignition system offers a simple yet reliable start up by shooting a flame to the main burners. The Rear Infrared Rotisserie burner allow you to opt for a radiant heat when rotisserieing allow better cooking results everytime. The stainless steel construction offers durability, longevity and a stylish look sure to appeal to the seasoned griller, while the stainless steel grill box is sure to withstand the elements. 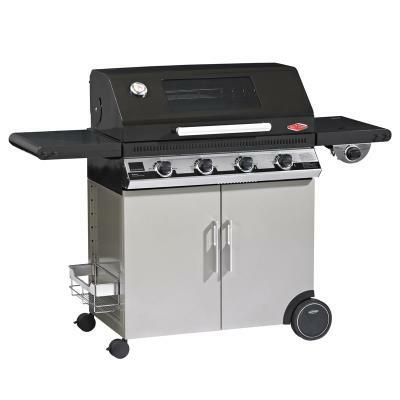 The grill base features folding side shelves and a cabinet for propane storage and other grilling tools, as well as a detachable storage basket. The included Accu-Probe temperature gauge keeps an accurate watch on the grill's temperature. If the above isn't enough Napoleon added NIGHT LIGHT LED Back lit Control knobs so matter how dark it is outside you ll always know where you Rogue RSE525RSIBPSS is! The Rogue 525 Grill from Napoleon combines high performance with aesthetic elegance and is perfect for integrating into your perfect outdoor kitchen.